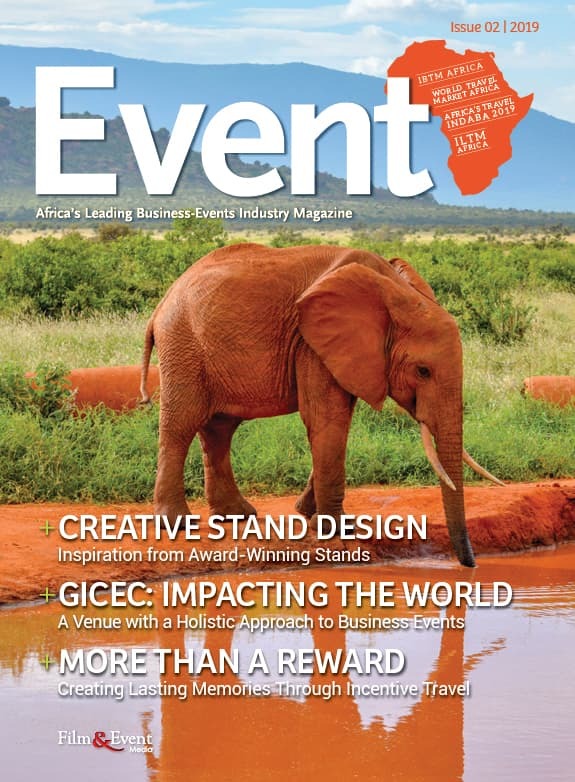 In this months issue, we explore creative stand designs and take a look at how GICEC – a venue with a holistic approach to business events – is impacting the world. And, we explore how incentive travel can create lasting memories. 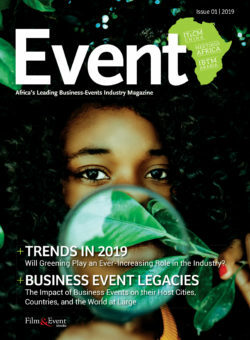 In Event Issue 1 for 2019, we explore the major trends defining today’s business events industry. 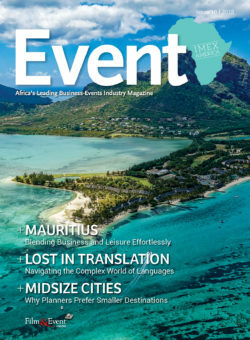 We also look at the legacy of conferences and exhibitions and their impact on their host cities and beyond – and we speak to African associations to find out how they add value to their member bases. 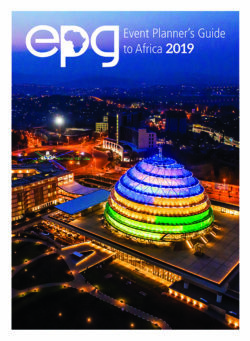 Film & Event Media brings you the seventh edition of the widely acclaimed Event Planner’s Guide to Africa (EPG), a premier annual publication showcasing the business-events industry on the African continent. 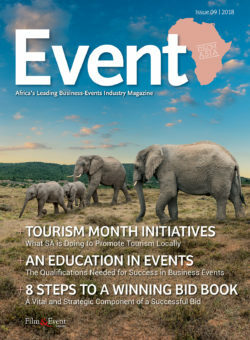 The Event Planner’s Guide to Africa promotes the African continent as a business-event venue, provides information on regions, organisers and suppliers for business events, and informs the African and international target market about meetings, incentives, conferencing, exhibitions and events. 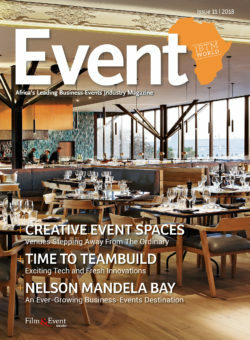 This month, we explore a fresh take on teambuilding with HintHunt, creative event spaces, Magical Kenya Travel Expo 2018, and Nelson Mandela Bay as a growing business-events location. Issue 10 of the Event is brought to you by Film & Event Media. This month, we explore the importance of translation and interpretation for events, and we dig into the technology disrupting the industry. We also look at the major global trend of hosting business events in midsize cities, and how this translates to the local industry. Issue 7 of the Event is brought to you by Film & Event Media. 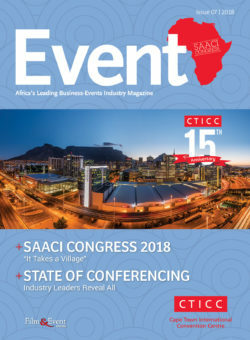 This month we explore the state of South African conferencing, codes and regulations that keep delegates safe, and this upcoming SAACI Congress 2018. Issue 6 of the Event is brought to you by Film & Event Media. 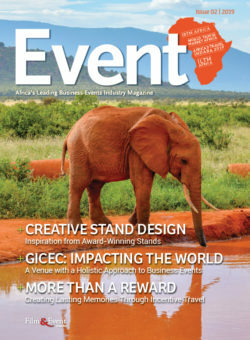 This month we explore the work of an all-female design team, the meaning of greening, next-level stand design, and Africa’s Travel Indaba 2018. 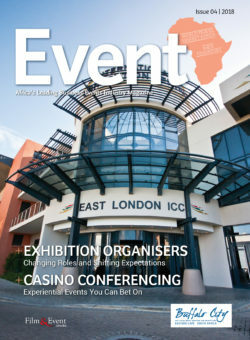 Issue 5 of the Event is brought to you by Film & Event Media. 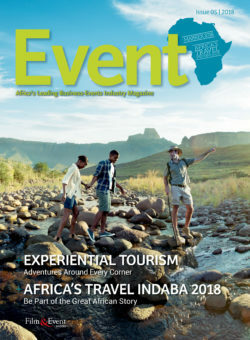 This month we explore Africa’s Travel Indaba, adventure tourism, and the latest news in accommodation refurbishment and expansion. Issue 4 of the Event is brought to you by Film & Event Media. 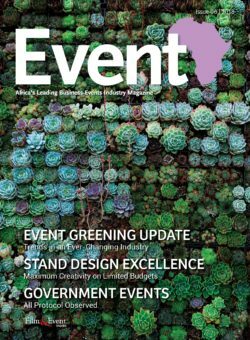 This month we explore the life of exhibition organisers, conferences at casinos, and innovation to accommodate inclusion.